FLIP celebrating 50 years of operations by "flipping." As photographers we have to make decisions and choices all of the time. Decisions such as camera and lens choice, f-stop and shutter speed, white balance, RAW or JPEG and a whole host of other things that go into making pictures. Admit it, this is what you were thinking when you read the title, right? And you would be right that for 90% of my assignments these are the biggest photographic decisions I make. But they are certainly not the toughest decisions. Given time and experience those decisions start to become second nature. The toughest decisions I have to make is where I'm going to photograph from. Two assignments come to mind, but there have been many others over the years. 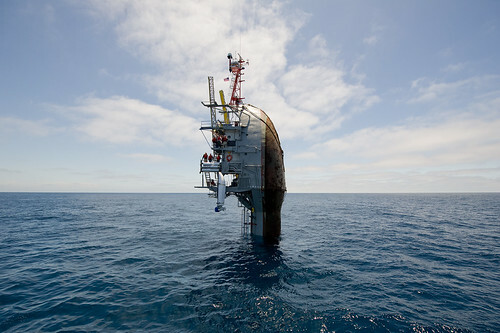 The first was an assignment to photograph the Navy's Floating Instrument Platform (FLIP) off the coast of San Diego, Calif., where I was given the choice between riding aboard FLIP or riding aboard a tug carrying media and VIPs. My first instinct was to ride aboard FLIP because that would be the cool thing to do. Very few people get that opportunity and it's something I've wanted to do since I started working at the Office of Naval Research. But deep down I knew that I needed to get photos and video of FLIP, well flipping, and that would not have been possible if I were aboard. It would not have been possible to capture this photograph if I choose to ride aboard. the best case would be that I could do both, but that is not always possible. 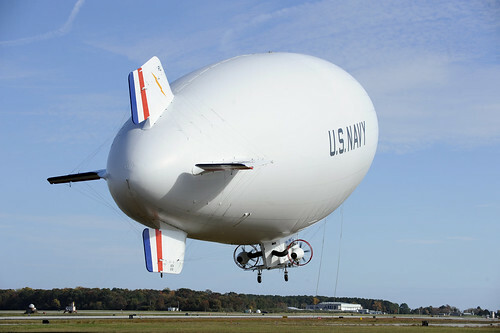 Then just recently I was assigned to photograph the Navy's only manned airship, or blimp, located at Naval Air Station Patuxent River, Md. Like FLIP, I've wanted to ride in this for some time and thought I would finally get the opportunity. But again I had to make a tough decision; am I going to get the best photos of the blimp from inside the blimp? And like FLIP, I wanted to be aboard because that would be a very cool thing to do, but I knew that the best chance to photograph the blimp was to stay on the ground. We make photographic decisions all the time, but the easy ones really are camera and lens, f-stop and shutter speed and all those other things you thought really mattered. When I reflect on these two assignments, I know I made the right decisions and the images speak for themselves. In the case of FLIP, the video has been used by Discovery Channel, National Geographic and others and the photos continue to get published even one year later, most recently by the weather channel. 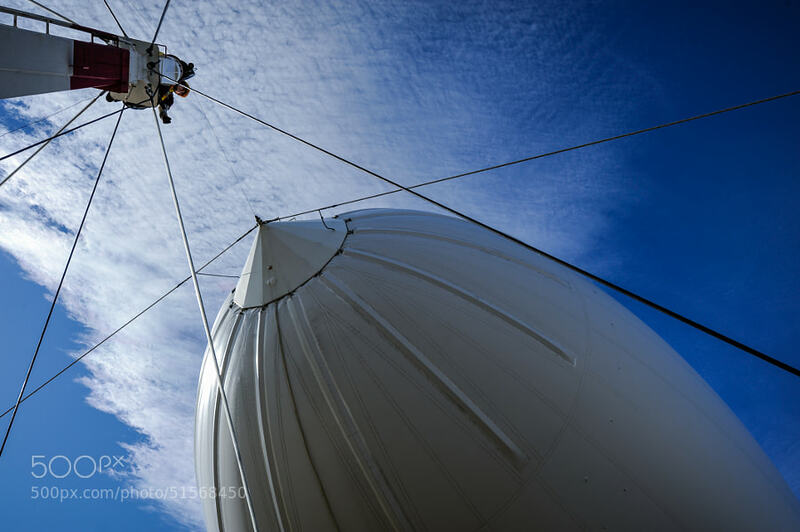 Photo of the Navy's airship that has been added to my portfolio on 500px. Too soon to tell if the blimp photos will take off, but I'm very happy with the results and even used one in my portfolio. That's when the right decision pays off. So is there ever a way to be in two places at one time? You might have noticed if you watched the FLIP video that there is onboard footage shot as FLIP transitions from the horizontal to vertical position. I did have the opportunity to mount a GoPro camera aboard and then coordinated with an on board scientist to trigger the camera just before operations began. He came through which proves that it is possible to be in two places at once, virtually at least. You can also use a remote trigger on a second camera if you are close enough. If you are too far away to trigger a remote, then set the camera's timer to fire a frame at certain intervals. 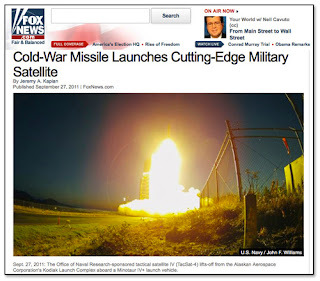 Who knows, you may get lucky as I did when I set a GoPro to shoot one frame every 30 seconds during a satellite launch in Kodiak, Alaska. I was three miles away when the image was made. Two places at one time. GoPro camera allows me to capture launch while I'm three miles away with a 600mm.